Finding things for bored teenagers to do is necessary because it's a dilemma as old as time. There you are, a teenager, fun, fearless, and bored out of your skull. Banish that malaise and read on to find out what you can do about it. Before tackling the things for bored teenagers list, consider why you feel bored, to begin with. Are you bursting with ideas that nobody in your inner circle seems to get? Do you feel unchallenged by school work? Do you simply have too much energy; a trait that others find "exhausting?" Thinking about why you're bored can prove immensely helpful because it can help you figure out which activity (and there are many) will be best suited to alleviate that boredom. With that in mind, consider some of the following. Seniors: Most communities have a senior center and volunteering at one is not taxing in the least. And once you start talking to one of these seniors, you'll find that it's quite fun too! Boys and Girls Club: Working with children is the focus of the Boys and Girls Club, but again, it's mostly fun. While it's true that you can tackle some more serious tasks like helping the children with their homework, you can also take on more lighthearted activities like teaching them to play basketball. 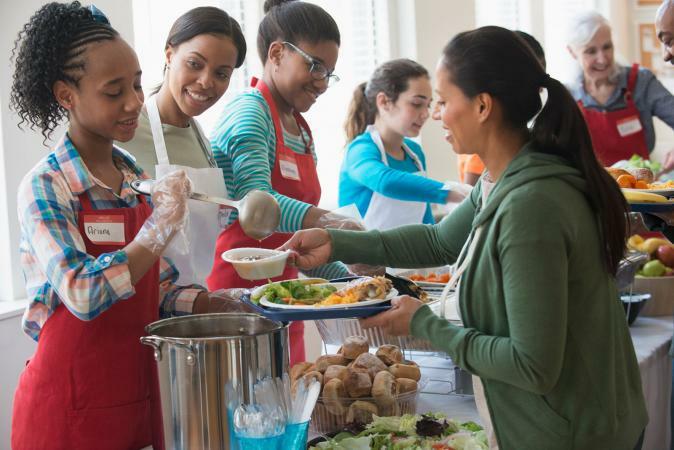 Try a soup kitchen: Volunteering at a soup kitchen can be tough since it's not easy to face the darker side of life, but it's a fantastic way to feel needed and good about yourself while doing good. Join an organization, like Rock the Vote, that helps to get people, particularly young people, registered to vote. Whether you are affiliated with a particular political party or not, voting is a sacred right, and by volunteering your time at this organization, or a similar one, you are helping to ensure that this right thrives. Is there anything out there that you feel really passionate about? Are you annoyed that some people callously throw their garbage on your city's streets? Do you hate the fact that there are so many pharmaceutical advertisements on television? Why not do something about it? Start a petition, contact your local Congressperson, and get the ball moving. Create the Good: a site where you can search for local volunteer opportunities, post your own projects, and read inspiring articles. Teen Life: a site where you can search for local volunteer opportunities, gap year and summer programs, as well as art programs. Habitat for Humanity: volunteer locally, or travel abroad to help build houses for families in need. You can also donate household items to this program if you aren't able to help build housing. Fulfillment Fund: search for youth group programs located throughout California. American Red Cross: a program for people 14 years old and up to 24 that fundraises, gets training in leadership skills, educates the public about Red Cross resources, and participates in hosting blood drives. Getting yourself a small gift. Cooking a healthy meal for yourself. Taking a long shower or bath. Getting a massage or haircut. Taking a relaxing walk or hike. Send someone in your family a gift. Send someone in your family a letter letting them know how much you care about them. Offer to help them out with some chores around the house or yard. Take their dog on a walk. Visit the site The Greater Good and "click" on the cause you want to support. Donors pay based on the amount of "clicks" each cause receives. Bake cookies or muffins and drop them off for your local police officers, firefighters, or hospital. Clean out your closet and drop off your unneeded items at a Salvation Army. Purchase socks and leave them in your car. If you see someone in need, give them a pair of socks. There is no shortage of things for bored teenagers to do. Use your natural ingenuity, combine it with some of the ideas listed above (or better yet, add your own! ), and see where your journey takes you.